Musings on data and analytics from the last of the data benders. 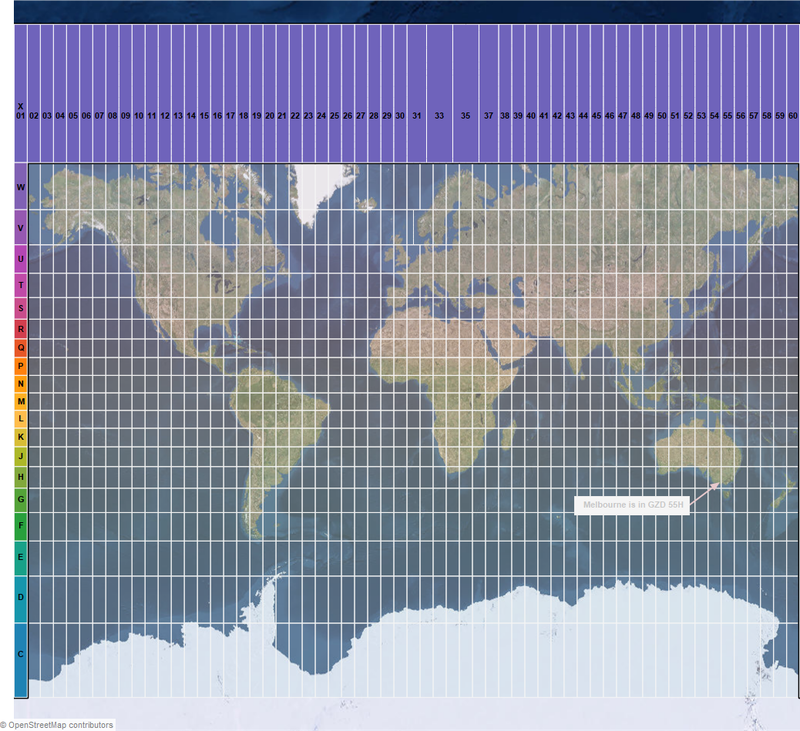 Using MGRS we can now reference an area of the world using the Grid Zone Designation (GZD) which is the longitude zone number followed by the latitude band letter – for example, Melbourne is in zone 55H. These zones then subdivide further into grid squares that are 100 Km2 in size (i.e. 10Km on each side). These are identified by a two letter designation according to some complex rules but by combining the GZD with the 100 Km2 identifier we can now say that the Melbourne central business district is in 55HCU. The zones drill down into increasingly smaller grid squares but this level will be enough for this post. 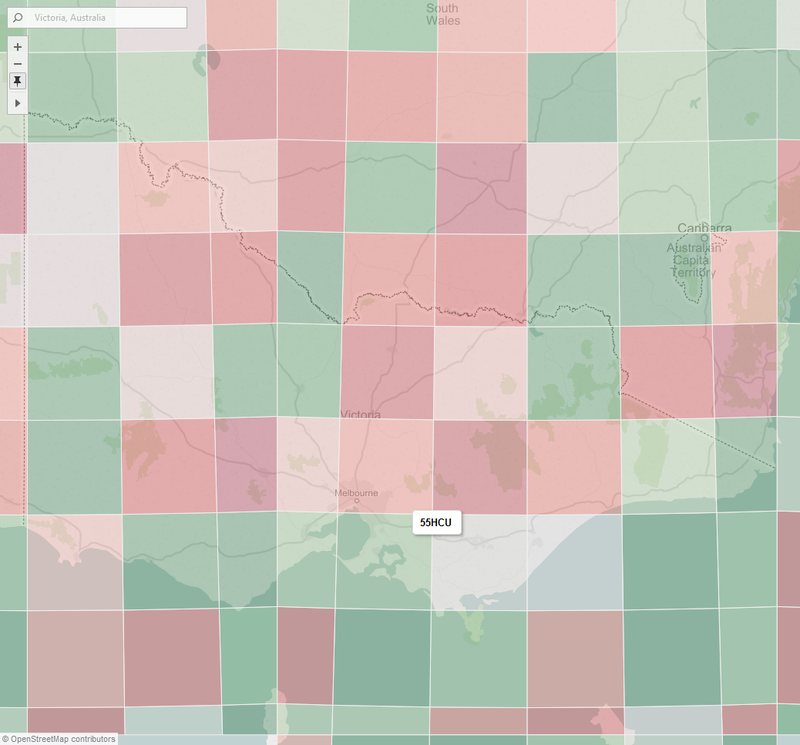 Clearly, the coordinate identifiers in this model are describing an area and in Tableau we would want to use a polygon mark to represent this. 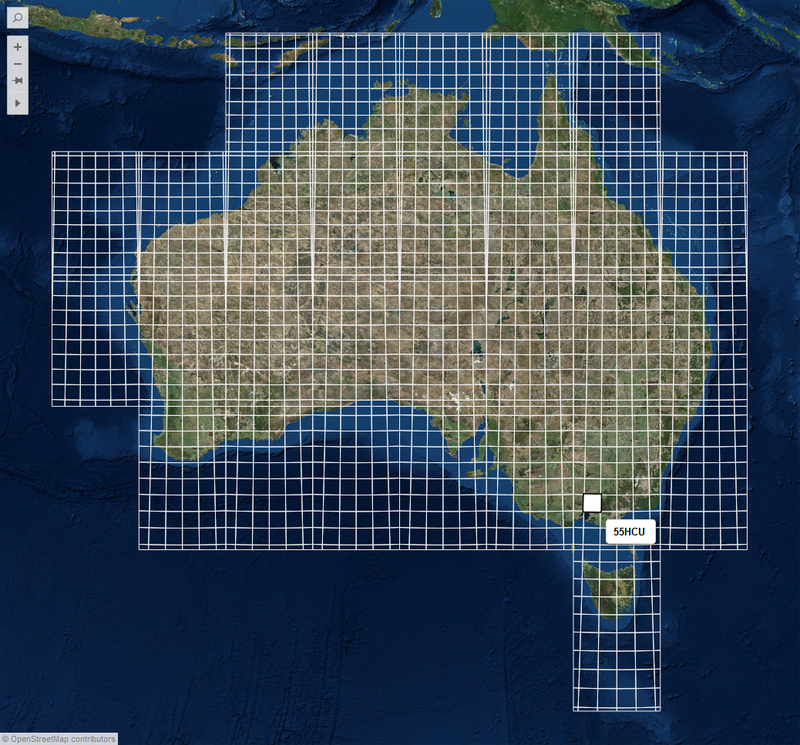 You can download the TDE file for the worldwide GZD boundaries here, and the 100 Km2 boundaries for Australia here. Enjoy! Hi. I'm Alan. By day I manage the APAC sales engineering team for Snowflake Computing. By night, I'm a caped crusader. Or sleeping. Most often it's sleeping. This entry was posted in Maps and tagged MGRS, Tableau. Bookmark the permalink. is there a way to batch convert UTM to latitude and longitude , I have a 10 000 points, so converting one by one is not practical. Just replying to myself, I found the solution using QGIS, it is a free software. Why do some of the SQ (Region level) polygons look more narrow than the rest of the polygons? For example, 54HYD doesn’t look as wide as 55HCU. Is it a Tableau display issue? The polygons look the same width at the GZD level? MakeLine() + Transparency + Mark Hiding = Oh My! Snowflake and Tableau – in action!